I do enjoy a homemade chocolate chip cookie on occasion. A REAL chocolate chip cookie, with both white sugar and brown sugar. The traditional recipe. It’s true. I am a firm believer in the 90/10 rule (I upped it from 80/20): 90% of the time, make the healthy, yummy choice; 10% of the time, honor your upbringing, traditions and…well… your sweet tooth. 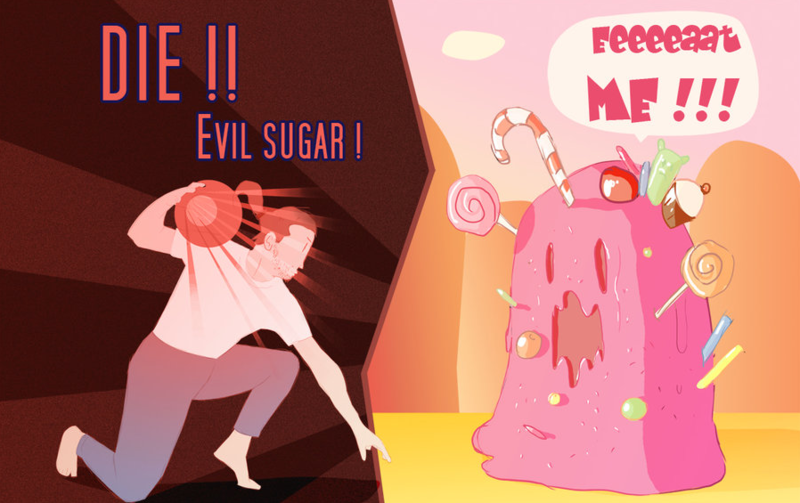 Friends and clients have cringed… and laughed uncomfortably at my frequent “sugar is the devil” comment. Offering texts, websites, and books to provide the science supporting this apparent atrocity is usually met with glazed eyes, and a change in topic. This always gets my knickers in a twist! Don’t you want to be healthier? feel better? And what about unadulterated vanity? Don’t you want to look better? I urge you to check out Dr. Phil Maffetone’s recent article, A Sweet Conspiracy. “Big Sugar,” as Maffetone refers to it, has led to increased rates of obesity, diabetes, heart disease, cancer, and other chronic illnesses, including the demise of our children’s health and wellness. The tragedy? Choosing real food with real nutrition is a huge piece of curbing this cultural epidemic. Simple as that.